When we designed the Dresden we wanted to offer a bold modern style that was unique to the gaming table market. We're a little partial to our original but we know Mid Century Modern isn't everyone's jam. Below you'll find our series of style packages. We've tried to offer a broad range of options so that nearly anyone might find a package that's right for their home. When you purchase a Dresden, you'll have the opportunity to select which style package you want. Please know these packages don't change the gaming area of the table and have little impact on the overall dimensions of the table. Though typically somewhat minimalist the Mid Century Modern style movement was all about indulging in the power granted by post war mass marketing. Our Standard Style Package includes sharply tapered legs. 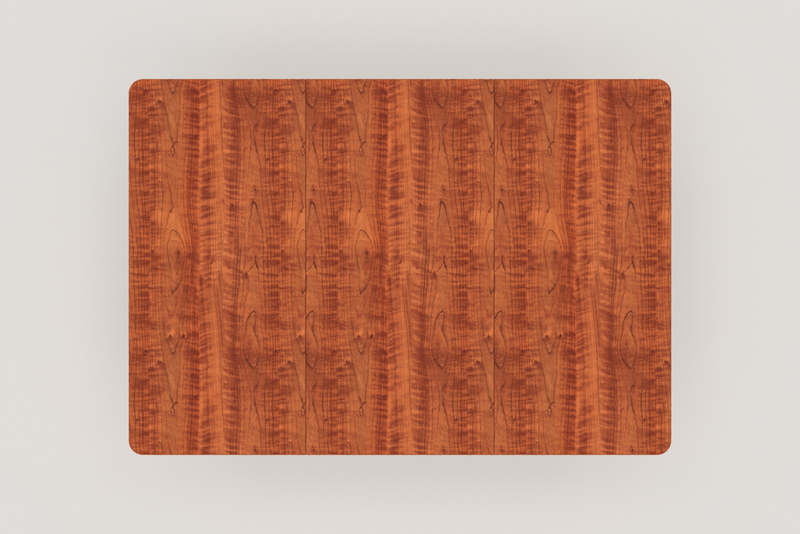 The dining tops are curved on the ends and a °15 degree bevel is cut onto the underside perimeter of the dining surface. The Craftsman style is an american furniture and architecture movement that gained popularity for it's rejection of both the more elaborately designed furniture of the Victorian era and the mass produced furniture of the industrial revolution. The Craftsman style typically tries to reflect it's handmade construction through subtle forms and small embellishments. Our Craftsman Style Package includes a heavier leg with a 2-sided flare. 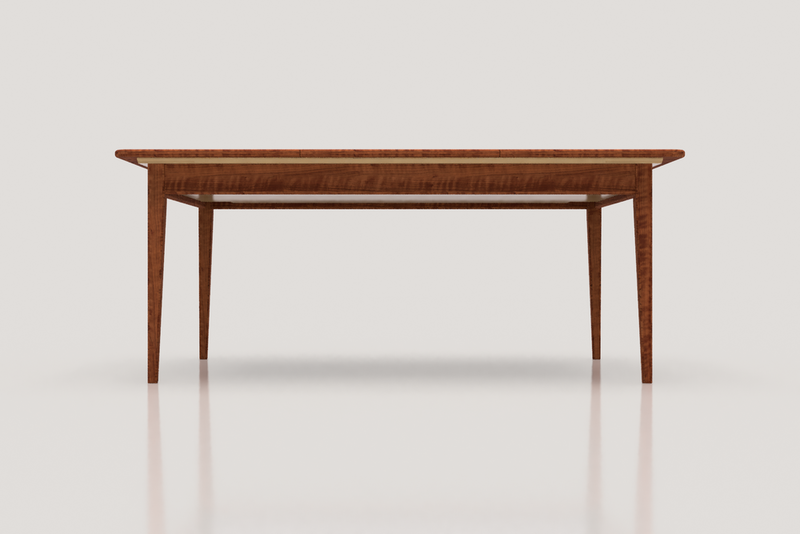 The dining tops are curved at the ends and a subtle 15° bevel is applied to the underside of the entire dining top perimeter. The shaker style focuses on authenticity and utility. Our Shaker Style Package Nº1 includes tapered legs turned just below the apron. 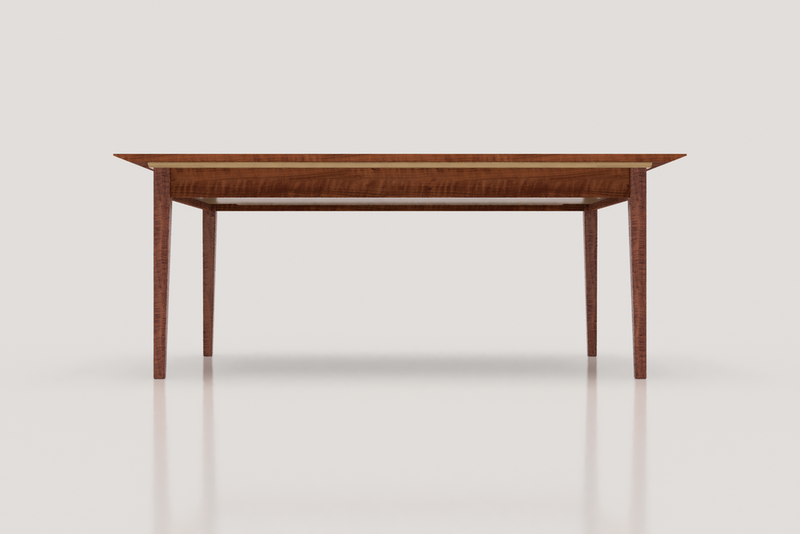 The dining top ends are straight and an aggressive bevel is cut at both ends. See it in the 3D Model Viewer here. The Danish Modern style emerged in, well, Denmark during the Modernism movement. It's minimalist in nature but indulges in forms made possible by mass production. Our Danish Modern Nº1 package includes turned tapered legs that first increase in thickness before tapering at the ends. 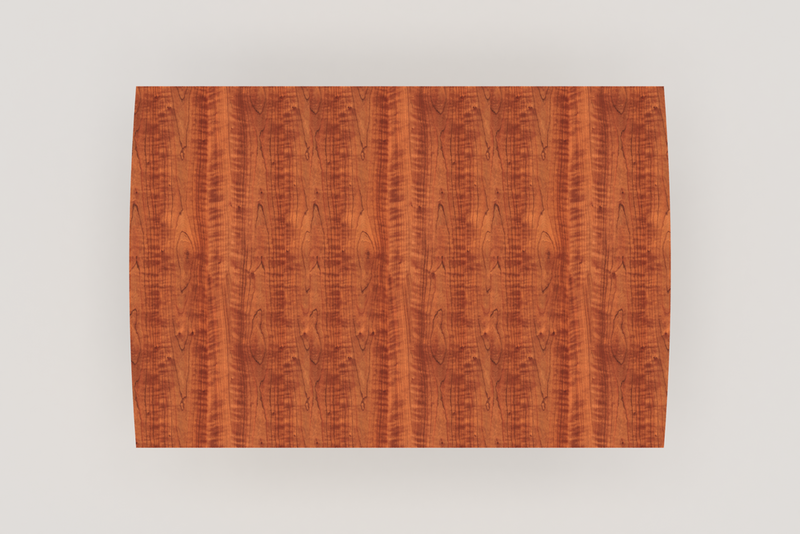 The dining tops are rectilinear but a 2" radius is cut on the outside corners of the dining ends. A heavy round over is applied to the perimeter of the dining surface and the bottom edge of the external aprons. Our Danish Modern Nº2 package includes the same dining top and aprons as our Danish Modern Nº1 package. For folks who aren't fans of turned legs we've simply applied the same heavy round over a standard Hepplewhite leg. Sometimes it just needs to be a table, not a statement. 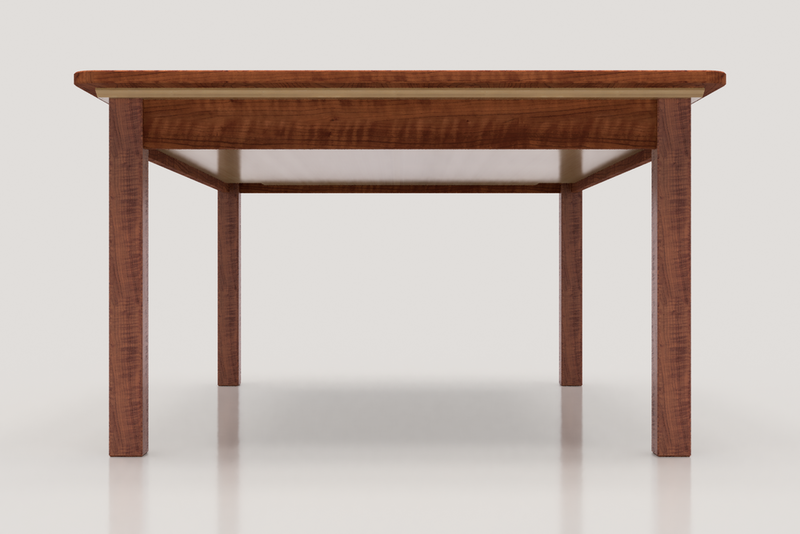 Basic Nº1 has square legs (2.25" x 2.25") and a rectilinear dining surface. The outside corners of the dining surface are rounded to help prevent injury and a light chamfer is applied to all edges. 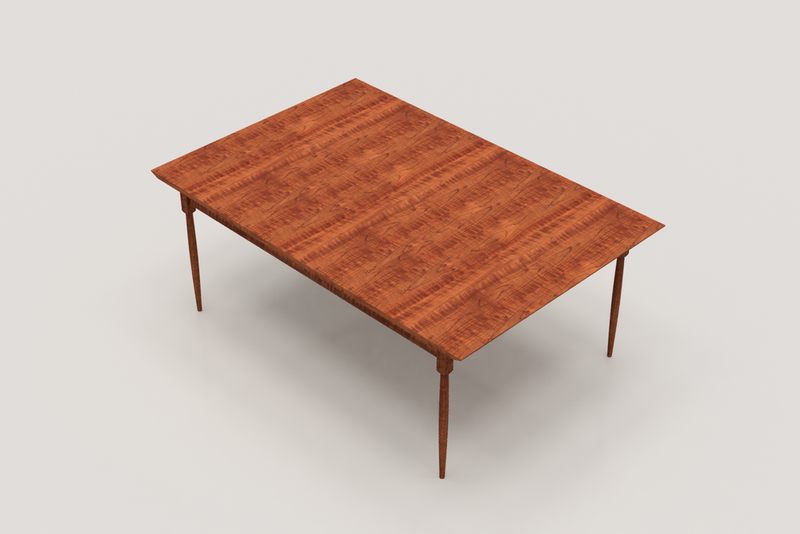 Basic N°2 has thicker square legs (2.75" x 2.75") and the same dining surface as Basic °1.